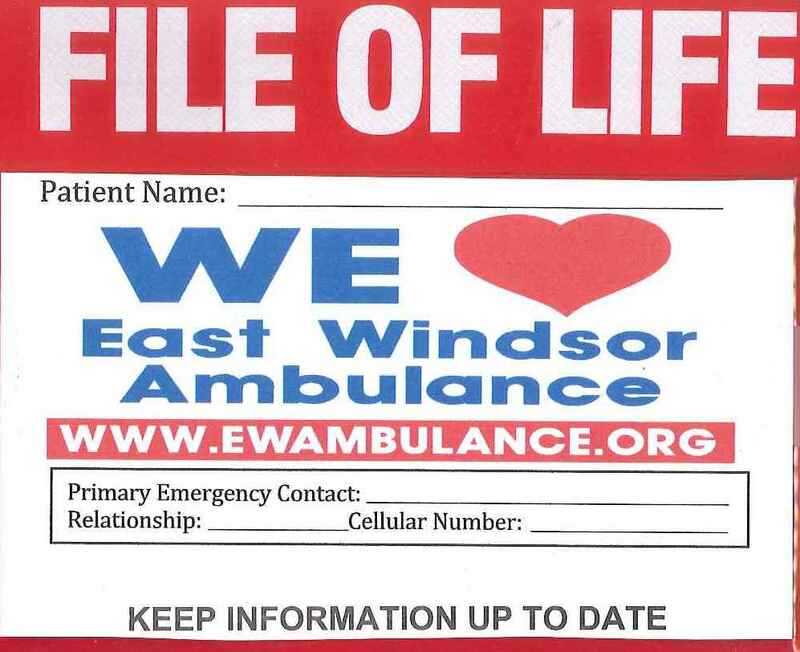 The East Windsor Ambulance Association Inc. is a non-profit paramedic-level ambulance service serving the Town of East Windsor Connecticut. The East Windsor Ambulance Association Inc. is a non-profit 501c-3 nonstock corporation and not a business entity. We are not a town agency and our employees are not town employees. There are NO profits paid to owners, only approved salary and hourly wages to our employees for the services they perform. Our staff proudly serve the community to save lives and help our neighbors. The East Windsor Ambulance Association, organized in 1978, as an all-volunteer ambulance service that served the community for at no charge to customers for many years when prehospital care ambulance options were limited or non-existent. 40 years later, we are one of the few emergency medical service systems that provide both basic life support and paramedic-level ambulance service without a financial cash contribution from our town government. The town does provide us with a small facility and the basic utilities. Few EMS services provide the exceptional degree of coverage we provide for a town of fewer than 10,000 citizens. A fleet of six ambulances and one-paramedic intercept vehicles respond to over 2700 emergencies each year and answer almost every request for service in the Town of East Windsor. Mutual aid is requested fewer than 25 times each year. Multiple ambulance responses are sent to most auto accidents and our most serious emergencies. During the weekdays and peak call periods, there are 3 ambulances on duty at our station. 2 paramedic level ambulances are staffed 24 hours per day, 7 days per week. A third, basic life support ambulance is staffed most weekdays from mid-morning into the evening during peak call periods. Additional crews are immediately recalled as these units are assigned to emergencies. Unfortunately, due to patient privacy concerns, it is difficult to adequately express the great work and the mere quantity of true emergencies our staff does on a daily basis. Heart attacks, strokes and TIA's, opioid overdoses, diabetic emergencies, sepsis conditions, trauma from falls, auto, motorcycle accidents, and industrial accidents are regular occurrences in EMS. Our funding is derived from two sources. Patient billing is our primary source of revenue which is strictly regulated by the Federal Government and the State of Connecticut. Our second source is our fund drives. Mailings are done to our residents and the business community to supplement our revenues. These contributions are used to purchase medical equipment that helps save lives. Your tax-deductible contributions can be made either by mail to P.O. Box 188 East Windsor CT 06088 or hit the "Make a donation" button on this home page.